When a group of Iowa State University engineering students came to observe Arlo Hinegardner in 1939, he was leading two teams of horses hitched to a plow. He was not preparing for planting season; instead he was in the process of building a lake by constructing a dam across a deep ravine near Montour, Iowa. After surveying the situation, the engineering students reached a consensus that the project would never be successful. In fact, they went so far as to say he was sure to fail. Please preview our hatchery video. We have much more to share on our operation on our Hatchery Video page. 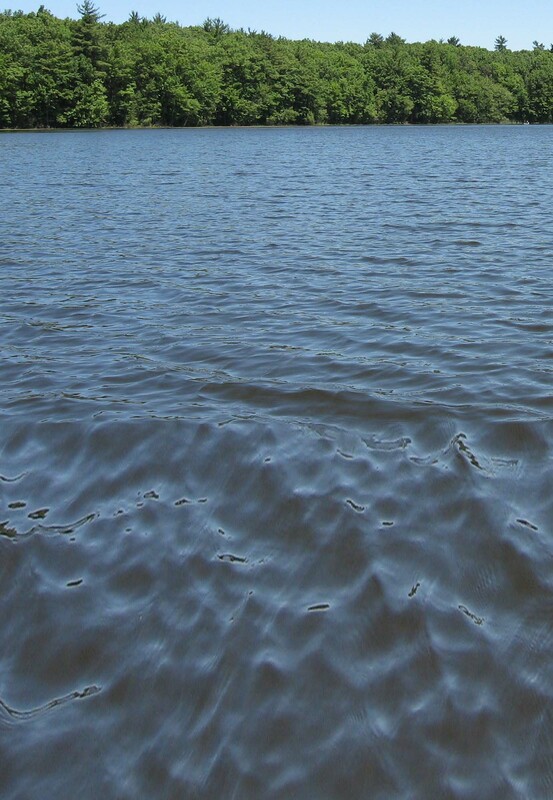 A surprise to many, the result of his year of work was a 70-acre lake. Stocked with several varieties of fish, Sportsman Lake, open for public fishing in 1944, charging successful fishermen 30 cents per pound. The success of this endeavor encouraged Arlo to build more fish ponds, raising fish and stocking the ponds and lakes of neighbors. Word spread and the business grew to become on the state’s first fish hatcheries in Iowa. A life-long entrepreneur, Arlo was a pioneer in privately operated fish hatcheries in the mid-west. According to grandson Todd, "he was a man before his time". 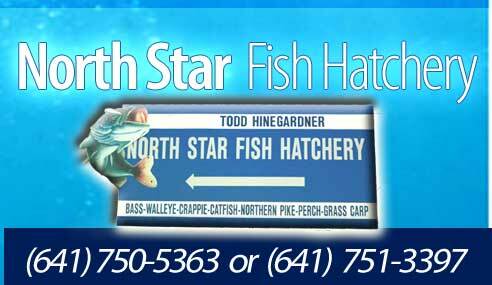 Today, North Star Fish Hatchery is owned and operated by Todd and his father, Larry Hinegardner. Located six miles west of Tama, Iowa, North Star Fish Hatchery not consists of more than 70 ponds and lakes. The hatchery raises and sells more than 400,000 fish annually, delivering and stocking lakes and ponds throughout the Midwest. Species that are raised include Largemouth Bass, Smallmouth Bass, Black Crappie, regular Bluegill, Hybrid Bluegill, Yellow Perch, Walleye, Northern Pike, Channel Catfish, Grass Carp and Fathead Minnows. Prices very due to size and time of year. Your order can be delivered anywhere in the Midwest. 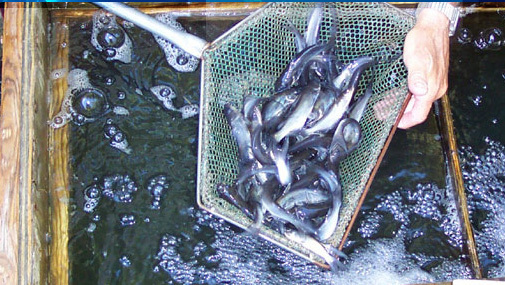 With over 60 years of experience in aqua culture, North Star Fish Hatchery is well equipped to handle your fish stocking needs. E-mail nstarfish@iowatelecom.net or phone Larry: (641) 492-6159 or Todd (641) 492-6256.